On SALE for just $1.99!!! Ever wanted to make prank calls the way the Jerky Boys do? Now you can! 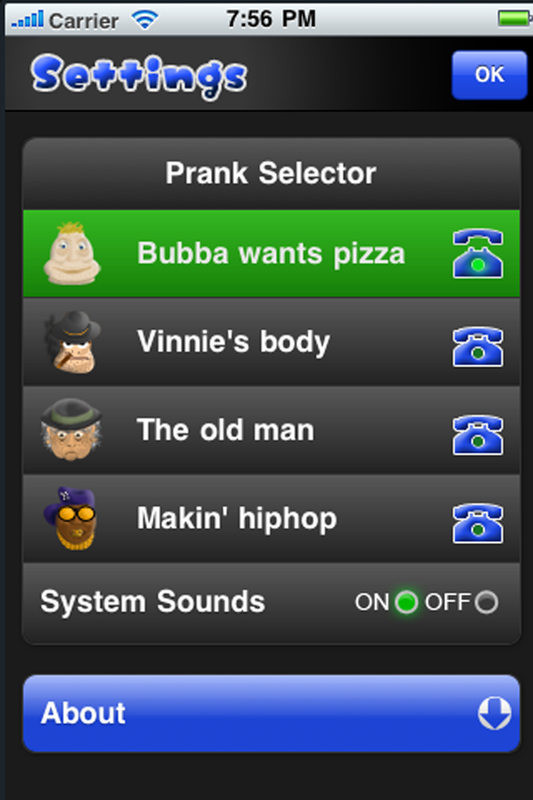 Prank Caller has a user interface that allows you to instantly access any of the 4 characters' 14 sounds such that you can hold a conversation over the phone using just the programmed voices! Each of Prank Caller's 4 characters has an unique situation they need help dealing with. Will the person you're calling want to deal with it? Probably not, but you'll enjoy listening to them try! With 4 different situations and character voices you will be in total command (and hysterics) when you unleash the stupidity of Bubba! He likes pizza more than normal people and when you unleash his stupidity on your friends they may not know how to react! Vinnie has a little problem that he'd like your next prank target help him take care of. 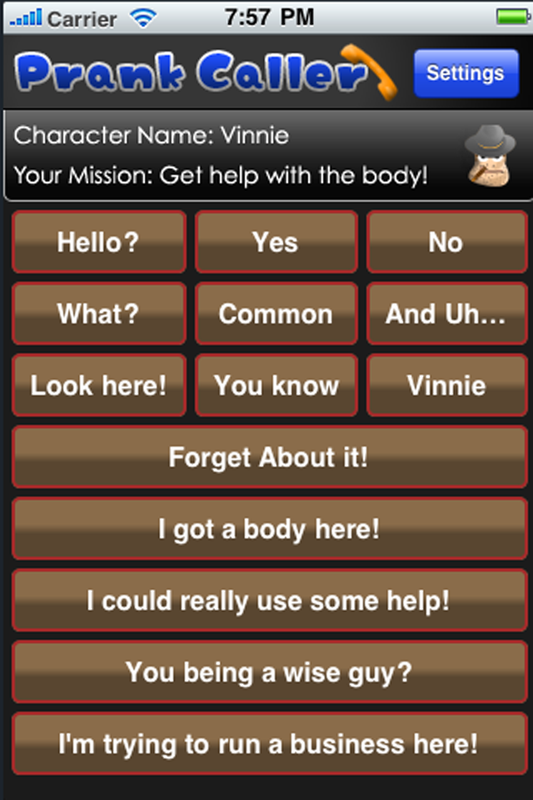 Use Vinnie to bring out the mafia style wise guy in your friends! Vinnie will supply you with endless laughter when you listen to your friend try and cope with his problems! Forget about it! 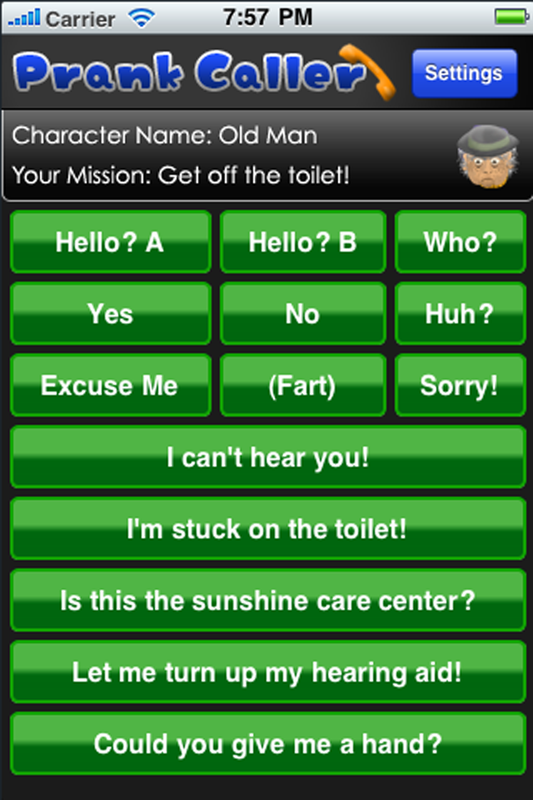 This old man could really use some help getting off the toilet, but there's nobody to help him! Do you know anyone whom might be interested? Careful when using this character. He doesn't hear so well and he has a number of phrases to prove it! What?! Hiphop is probably the worst rapper you've ever heard, and for some reason he thinks he's called a record company! 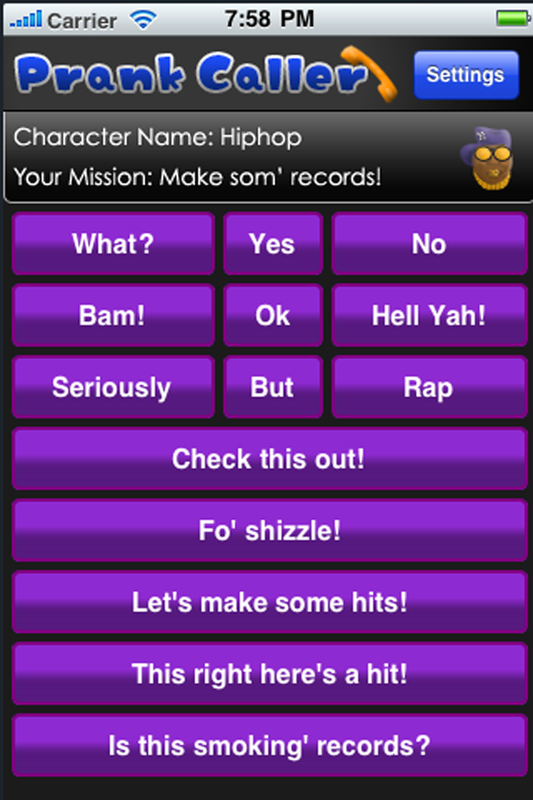 Use Hiphop to convince the caller you've got a hit record and that you're the next rap king. Fo shizzle! Disclaimer: We are not responsible for any trouble that may occur between you and the parties you call with the use of this app. Please use discretion when using Prank Caller! This app was designed for use with another device that is actually placing the call. 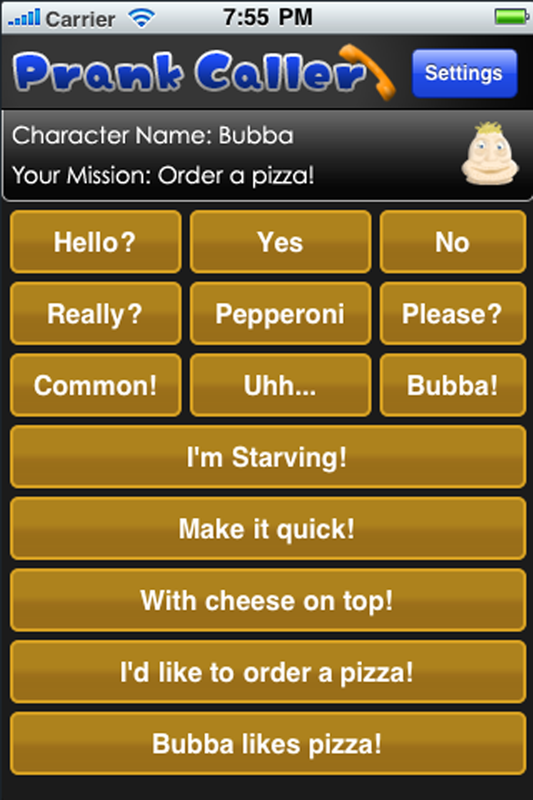 The audio will play out of the main speakers of your phone when the corresponding buttons are pushed. We are currently working diligently on a version that enables you to both use this app and place the call with the same phone. More Games by Fuze Inc.
What is it? Auditory Flashcards!